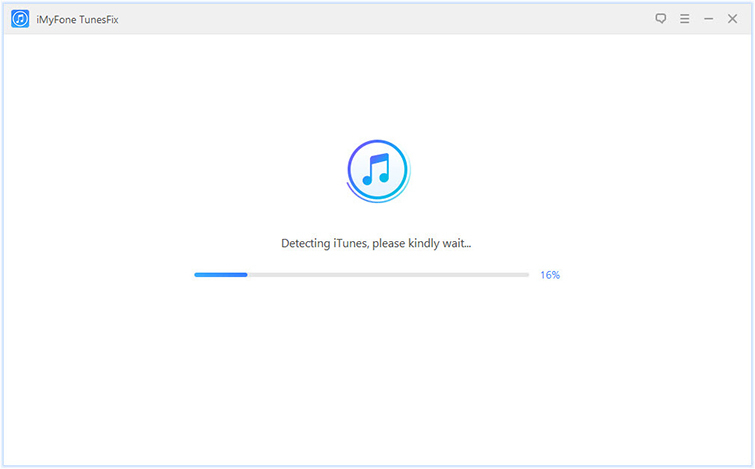 The iTunes error 6 is an issue faced frequently when restoring or updating your iPhone. It can be caused by corrupt download or an incomplete installation of iTunes software, an error in windows registry from an install or uninstall of an iTunes related software. No matter the cause of your iTunes error code 6, the most important thing is to get it fixed. 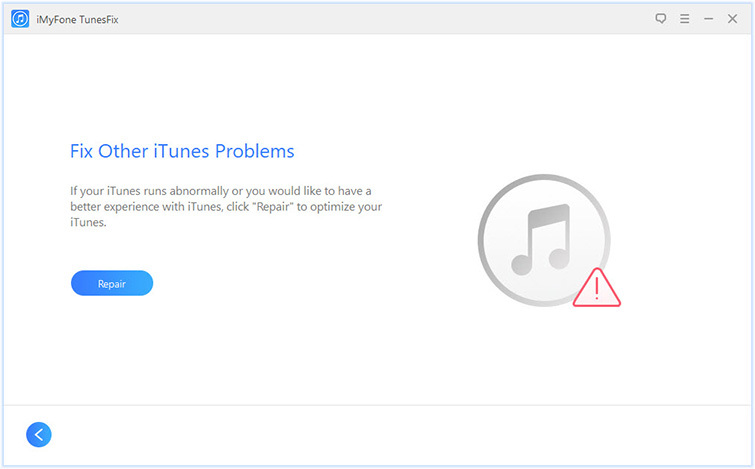 In this article, we will discuss few steps to fix iTunes error 6 problems. iMyFone TunesFix is a software to fix all possible iTunes errors and problems. iMyFone TunesFix has brought to you such a nice user interface, easy and fast 7 functions modules from the interface, fully compatible with iTunes 12.5.3.16 and later versions. You may be thinking how iMyFone TunesFix can serve you better. Below are the things you can get done with it. 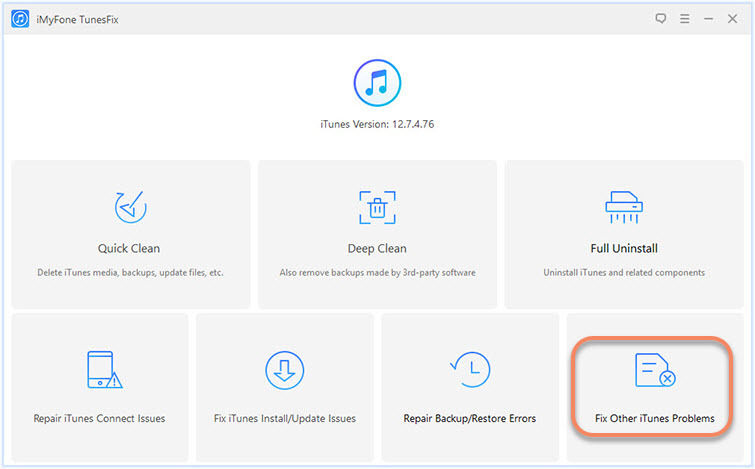 TunesFix can auto-detect iTunes errors and easily repair them. It helps to fix 100+ iTunes problems bypass iTunes. It remains old data safely without losing any files. Quick clean and deep clean are both provided to speed up iTunes and your compuer. Step 1: Launch iMyFone TunesFix first and it will start detecting iTunes automatically. Step 2: Select "Fix Other iTunes Problems" mode. Step 3: Click "Repair" to start fixing the error. The very first thing you need to do is to source for a reliable premium antivirus software, scan your system deeply to detect hidden malware. Make sure you scan and clean up your computer, then restart your system. Basically, this method canfix your iPhone error 6problems. After thinking about so many causes of error 6 on iTunes, we shouldn't forget about the application itself. A program file must have been affected/changed or probably not compatible with the system drivers anymore. It is very essential to check for an update of your software. Step 2: Click on control panel on the right-hand side menu. 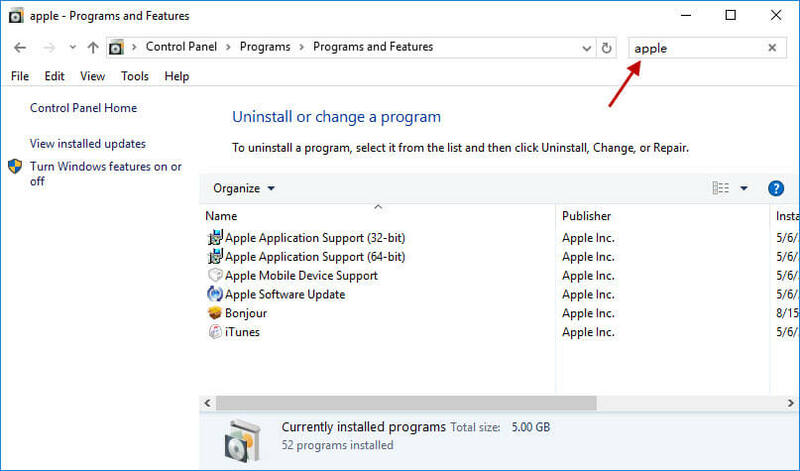 Step 5: After you have successfully uninstalled your software, download iTunes from their official website or a reliable external download source. Install the new iTunes software and relaunch your software. iTunes Error 6may occur due to an outdated or corrupt system drivers. These drivers get to work today and stop tomorrow for numerous reasons, that's why it is essential to check up your system drivers weekly if not daily so that you can update all old drivers to the new one, to ensure smooth functioning of the system. Another approach that can be given to this error code is to carry out a window system file checker ("sfc/scannow"). System file checker is a handy tool which comes with all windows and allows you to scan your system for corruption in windows system files. It also helps you to restore system corruption. Step 1: Click on your start button. Step 2: In the search box, input "Command Prompt". Step 3: Then holding your CTRL-Shift on your keyboard, hit the enter key on the search result. Step 4: In the prompt message you receive, select yes. Step 5: A command box will open with a blinking cursor. 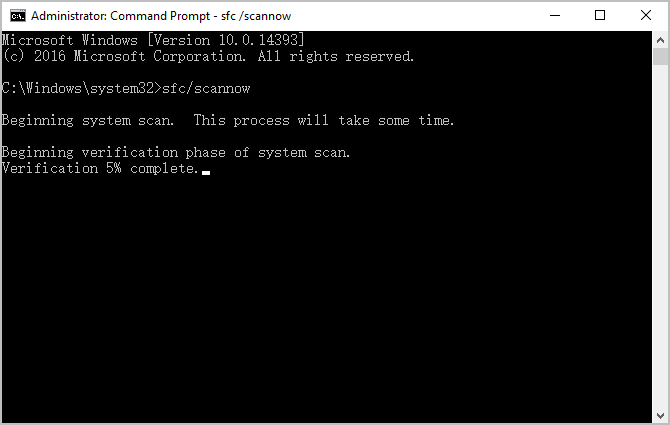 Step 6: In the box type "sfc/scannow" and hit ENTER. Step 7: Your system will start scanning for problems and corrupt files.Follow the on-screen commands that pop up. With the knowledge of error 6 and the causes, the above fix should be helpful in eradicating the error 6 system related issues. All fix suggested solutions are advisable to be carried out with caution to avoid the risk of damaging the system hardware/hard drive.